Time to take a trip back to the past with the NewportCounty Preservation Society Mansion Tours. Rhode Island’s most frequented and historical preservation organisation invites you to visit this wonderfully restored collection of Golden Age architecture. The Preservation Society of Newport Mansions is a nonprofit charity funded by donations as well as visitors to the sites. The organisation was started by co-founders George and Katherine Warren in 1945. The couple started the organisation in order to prevent the demolition of historic mansions in Newport, such as the Hunter House, constructed in 1748. The couple and their team have since managed to spare several buildings from total destruction, most of which can be visited today. Other mansions available to the public for viewing include Chateau-sur-Mer, The Breakers, The Elms, Marble House, Kingscote, Rosecliff, the Green Animals Topiary Garden, Hunter House, Isaac Bell House, and Chepstow. While touring the various Newport sites, every visitor is provided with state of the art audio equipment that acts as an audio guide, helping visitors learn heaps of insightful facts and have a better understanding of what it might have been like to be around during the time period. However, if the idea of a self-guided tour puts you off, they also offer guided group tours. Since being made available for public visitation, the Newport Mansions have conducted well over a staggering 1,000,000 tours. If the lives of the working classes interest you, why not take the Day in the Life of a Servant Tour, where you will be expected to use back entrances and climb secret staircases, which lead to the servants’ quarters. Get to know what the inner workings of these great houses would have been like back in the day. Be aware, however, in case you didn’t know, things were not so easy for servants back then and you will be expected to climb a large number of staircases, so you had better be feeling fit. 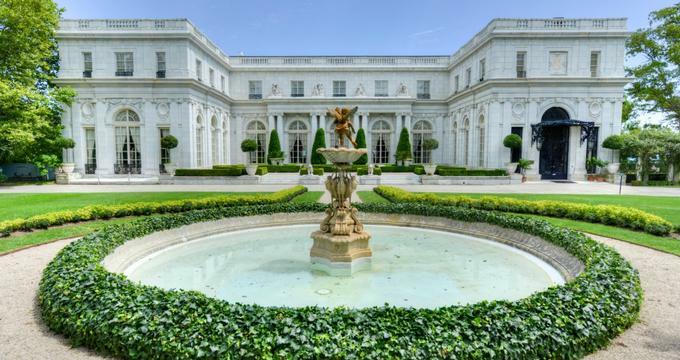 Visitors wishing to learn more about the Newport Mansions may want to attend a series of lectures hosted at Rosecliff. The lectures tell stories of various properties saved by the NCPS. A real treat for enthusiasts! Are you or your partner having trouble finding the perfect location for your wedding? Well, look no further as the Newport Mansions are available to hire for functions such as weddings. Several of these stunning and fairytale-like properties are ideal for that special day. But fear not, the sites aren’t just hired out for weddings, they also take bookings for corporate and private parties.